This article is a requirements document template for an integration (also known as Extract-Transform-Load (or ETL) project, based on my development experience as an SQL Server Information Services (SSIS) developer over the years. A 'who changed what when' chronology of all changes, either using Word change tracking or lines like '8/1/15 Bob's changes per mutual agreement'. Keeps everyone honest when there are lots of changes, and if you’re ever in any situations where changes are coming fast and furious, this is invaluable in managing an approved set of requirments. I’ve known many a business analyst and developer who became quickly overwhelmed in conflict between others on requirment demands. Also known as project objective, business goals, business problem statement, and various other terms. A simple 'Here's why we're doing this' paragraph. The target audience being those that are likely to only read this paragraph, but this also gives the developer some design decision guidance. And yes, just because person x told person y a month ago that it’s in requirements, or this email two months ago said it’s in, or was assumed in an elevator conversation last week, or was mentioned on the golf course last year during preliminary negotiations means that it’s in. 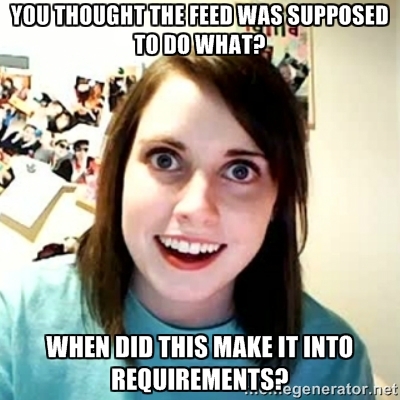 If it was discussed and approved in a requirements meeting then it's in, otherwise it's out of scope. 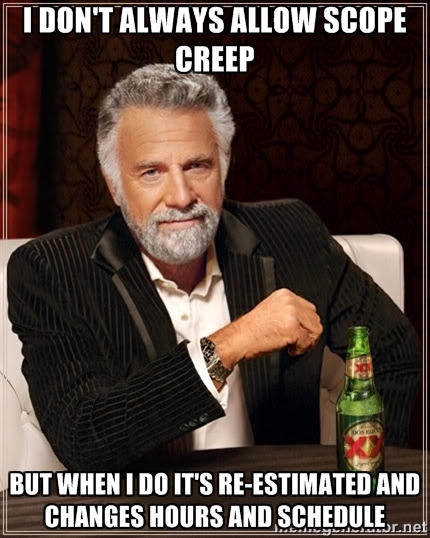 I've also known more than a couple of clients that will negotiate effort, cost, and time,and then scope creep the hell out of a project in order to make themselves look better. Been there, dealt with that. "But wait, we're a really small operation, and this isn't a big deal" you say? Fine, as long as you can roll with that, but the moment somebody has an requirement expectation that wasn't delivered that can change, forcing you to function as the gatekeeper of requirments in a more formal way. Is there a guarantee of performance that the company has negotiated with the client? If yes, then an initial design assessment needs to take place on whether this is a realistic expectation, as management will often negotiate revenue for performance and penalties for non-performance, and there could be considerable effect on scope and time in order to hit an SLA. This will also drive design as to feed reporting, as many large companies will have a report on their SLA performance. I’ve been in a few situations where SLA’s where negotiated such that processes would be completed by a time that was either not possible, or not possible given certain requirements, and needed to be handled in the design estimate. The source schema was not finalized so that development could not begin. Sample data was not available so development could not begin. Implies a hard-coded or calculated value will be inserted or updated. Can be defined in either requirments or design. Business Rule Validations - If only a set number of values can be added to a target column, need to know what to do if a value outside of that set is provided. Both source and target, all values are the same Usually no action, but sometimes UPDATE. Row is in target, but not in source. Sometimes a DELETE, sometimes an UPDATE and set an 'IsActive' column to No and a date column such as 'InactiveDate' with the current datetime. There are some business analysts that cannot provide a source to target mapping, especially if they don’t have access to the data source, which means the developer has to figure this out themselves. 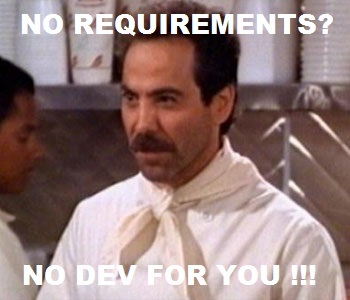 If this is your situation then make sure if it comes to it you’re communicating that you’re doing requirements gathering as well as development. You also may have to state various assumptions in your requirements document on details that were not provided. When will the source file(s) be available? If data fails a business rule validation, what action does the ETL take? Accept, accept with default values, not accept? The end. Thank you for reading my article, and please email me at jim at jimhorn dot biz with any feedback. I look forward to hearing from you.